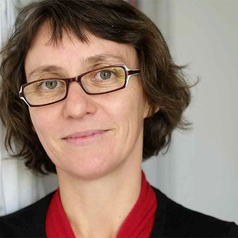 Natalie Sims is the head of the Bone Biology and Disease Unit at St. Vincent's Institute, Melbourne, and an Associate Professor at The University of Melbourne's Department of Medicine at St. Vincent's Hospital. Since starting her PhD at The University of Adelaide in 1990 she has worked to discover new treatments for common skeletal conditions such as osteoporosis and arthritis, as well as more rare disorders that affect the way the skeleton is formed, like osteogenesis imperfecta. After her PhD work, A/Prof Sims worked at Sydney's Garvan Institute, and then trained at Yale University's School of Medicins, USA before returning to Australia in 2001. Her team currently investigates the way that cells within the skeleton communicate with each other to produce bone of optimal shape and strength.